There is nothing like adventure and stepping outside one’s comfort zone to help build a sense of teamwork and new ideas. The wild west coast of northern Vancouver Island is the ideal place to foster this, making your guests feel like they are in a whole other world. Pristine beaches, huge trees, wildlife and no cell reception harbours endless opportunities for fun, adventurous learning and growth. The trip from Vancouver is an easy 45 minute flight into Port Hardy. You let us know about your team, the dates and we will plan the rest of the trip. We have developed these three basic structures for our team building retreats and are able to tailor them in anyway you like. Let us show your company what they are capable of while experiencing the true wild of the north west coast! 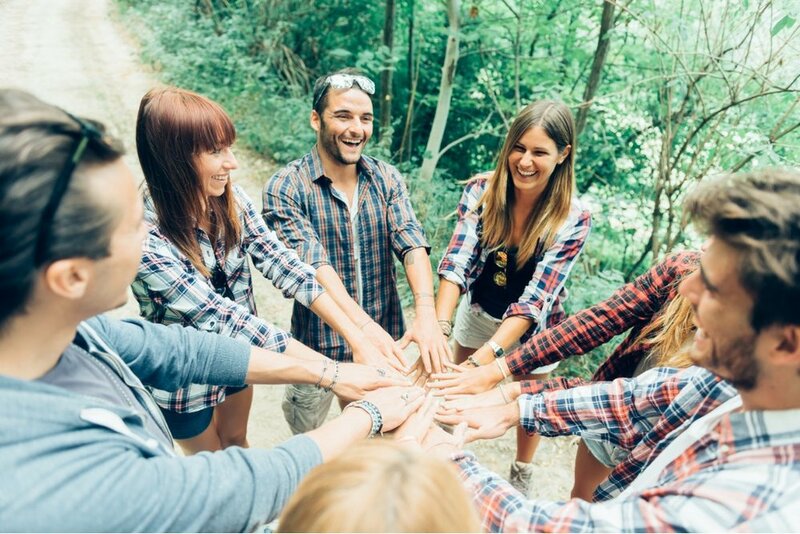 This would be the most light-hearted, with the emphasis on getting a company, group,division, or new hires together in a setting totally disconnected from the outside world. This is a place that most have never been, and together as a group they will explore and experience what it has to offer. Locations that we recommend for this option are Grant Bay, San Josef Bay, or Cape Palmerston. 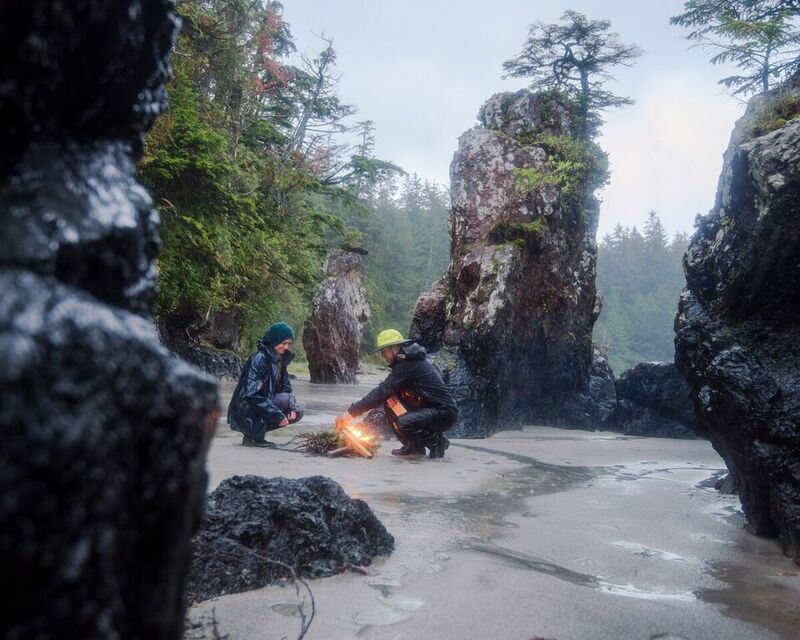 We try to implement the Tourism VI saying, “Get Lost, Find Yourself,” and as we are personally out there hiking around, climbing sea stacks and looking in tidal pools we find this happens all the time. Being disconnected and in nature lends itself well to new ideas, refreshed attitudes and a sense of well-being. The activities for this trip will be a bit more structured with an element of working together in a survival-type setting. Depending on the group, we would have one large team or break-up into smaller groups. The emphasis of this tour is also on disconnecting from technology and the outside world, while solving problems in real-life survival situations. Locations for this option would be Grant Bay, San Josef Bay, or Cape Palmerston. This is a day that will be completely customized to the customer’s needs and desires. With the goals for the experience being the same as the other options, this is for the budget breaking occasion, or just a private affair for an unforgettable date! A sales team just hit a quarterly benchmark, or a group of investors that have never seen northern Vancouver Island. Our guides from Cove Adventure Tours will meet with you to decide what goals and objectives that you have for your team and build the perfect package.